Our custom fashion jewelry website solution will facilitate the shoppers to buy jewellery online from the website. 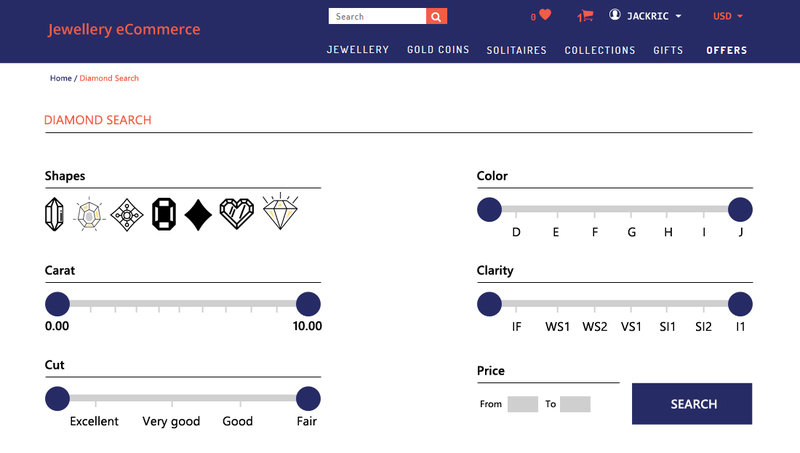 Customers will have an option to search different items through advanced search criteria.The website will also have a section for customers to search for diamond that they are looking for. On Demand jewelry web development allow customers to view the authenticity certificates of the Jewellery. With the growing industry of gem and jewellery and in the same manner, it is rapidly growing online. The demand of jewelry website design is increasing in the same manner. Logicspice is offering scalable solution & exclusive features in fashion jewelry websites development. Customer will be able to manage their basic personal information and add/edit details. Customers will have an option to search products by selecting the categories and subcategory. Customer can search for diamonds by shape & price of diamond, carat, cut, color and clarity. 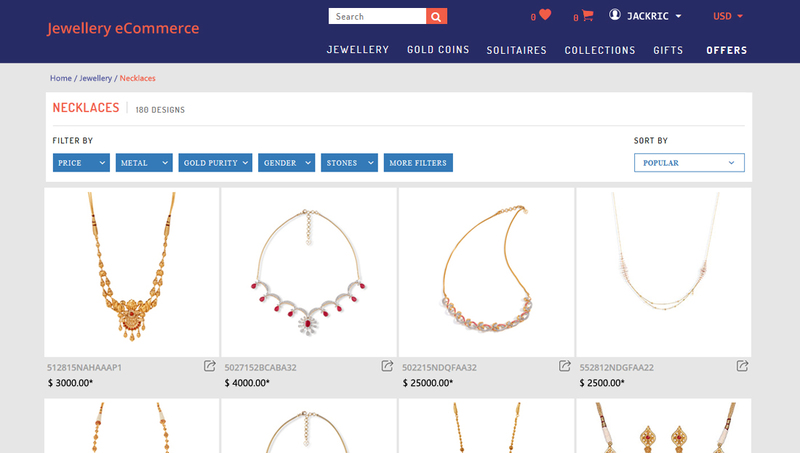 User can view complete listing of the Jewellery according to search criterion and filter them by price. User can see detail of the jewel like title, license number, description, price and key points. User can add the products in their shopping cart by selecting quantity and add them in the cart. Customer can proceed to checkout by integration of payment gateway for credit card. How can a Customer search for items that he may want to purchase? Customer can purchase jewellery items by selecting the categories and subcategories of the item. They can also search by keywords. Can the Customer give rating to a product even if they haven't purchased it? Yes. Customer can give rating out of 5 even if they have not purchased the product. Customer can also write a review along with the rating. Time taken to implement your Jewellery E-commerce System depends on the level of customization and data migration. The time frame generally ranges 5-6 weeks. Can I upload multiple pictures of the jewellery items to the website? Yes, you can upload upto 5 pictures of the jewellery item that you put on the website. Does customer needs to be signed in to the website to make a purchase? 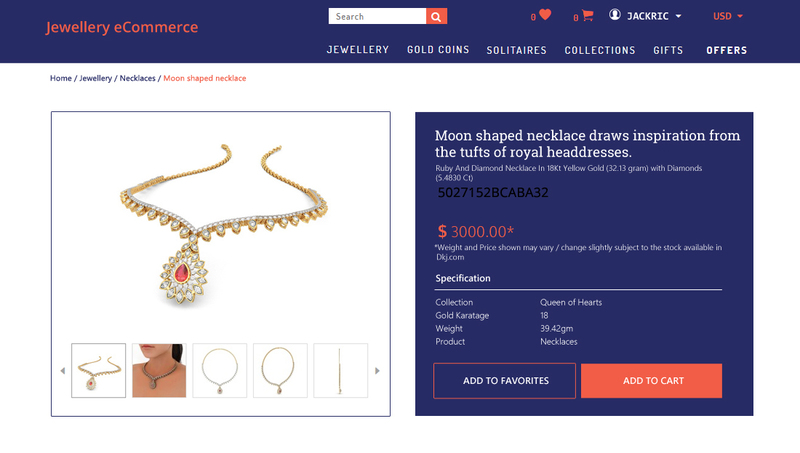 Yes, a customer needs to be signed in to the website to buy jewellery from the site. How can a customer ensure the authenticity of the items on the website? 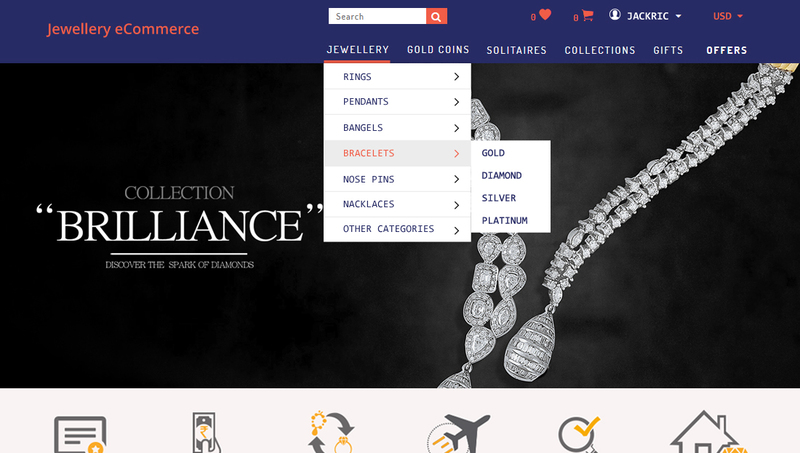 Customers can view the licence information of the jewellery items on the website.